« Parenting Scripts: If it’s not a sin, let them do it! The Tulsa Workshop is in its 36th year as a major event for churches of Christ. Twenty years ago the attendance was probably near 10,000 and the Pavilion Center was almost full, both floor and upper tier seating. Christians from the heartland are the main supporters of the Tulsa Workshop, from towns like Owassa and Skytook, Oklahoma, Texans from Mineola—many small towns and smaller churches—great down-home people! . The Workshop was always exciting, foot-stomping, not cerebral or sophisticated—and that served the large audiences for many years. But not so much anymore! As with many large events, the Tulsa Workshop has declined over the past decade. Honestly, if Sherrylee had not been invited to teach a class, she and I probably would have just sent a staff member to represent LST—but I’m glad we came this year because the Workshop is different! 1. Top-tier keynote speakers ,including some from the more progressive churches of Christ as well as solid, mainstream churches! No political choices; just those who could bring the word powerfully. 2. Great young preachers giving keynotes, not just the established personalities of the fellowship or local Tulsa prominence! In fact, young preachers were paired with their mentors in a wonderfully biblical Paul-and-Timothy realization of older men teaching younger men. 3. Challenging classes. The venue does not lend itself to many simultaneous classes, so the limited offerings is unfortunate, but the offered slate of classes is excellent. 4. Contemporary worship. The organizers this year achieved great balance between modern praise music and older favorites. Balance is perhaps the wrong word because the vast majority of songs were modern. Consistent use of good praise teams helped overcome difficult acoustics in the arena. So, kudos to the organizers—rumor I heard was that it was the Memorial Drive church staff! Very well done—and it seems to be very well received! Here is the website for this year’s workshop so you can see for yourself what a good program it was www.tulsaworkshop.org . 1. Be innovative in creating an interactive environment! I’m not just talking about breakout groups, but find ways to create dialogue and interaction, perhaps with new technology. What if you polled the audience using their mobile phones and could show immediate response on the projection screen so that the speaker/facilitator could speak to the responses of that particular group? Just a small idea! 2. Make an effort to get more ministries to exhibit. For my taste, the exhibitions were too heavy on the commercial. I’ve always loved the exhibit area of lectureships, but I’m looking as much for inspiration as I am another Bible or different religious T-shirt. That’s just me. 3. Don’t let the venue determine the nature of the workshop. Good job this year with the changes in buildings, but the difficulties with using the fairgrounds are pretty obvious. 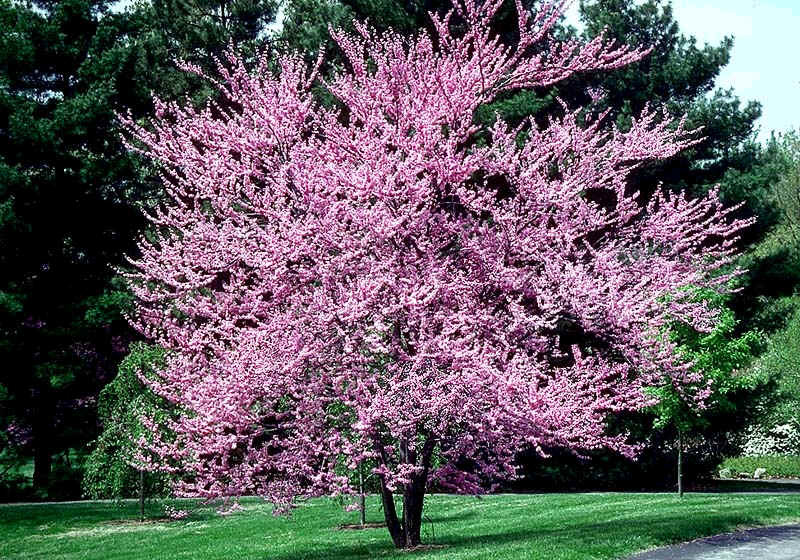 By the way, did I tell you that the Oklahoma redbuds are beautiful! 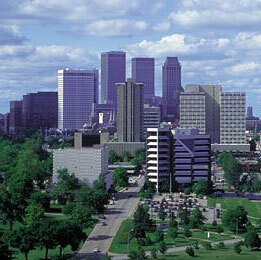 And Tulsa is a beautiful city. Why don’t we all meet next year at the Tulsa Workshop and be blessed together!